A knife-wielding perpetrator reportedly shouted "It's Allah's will" and “This is revenge for our brothers in Hajin in Syria. These are your heads, enemy of God", referring to Daesh stronghold in Deir ez-Zor province seized by US-backed forces earlier this week. 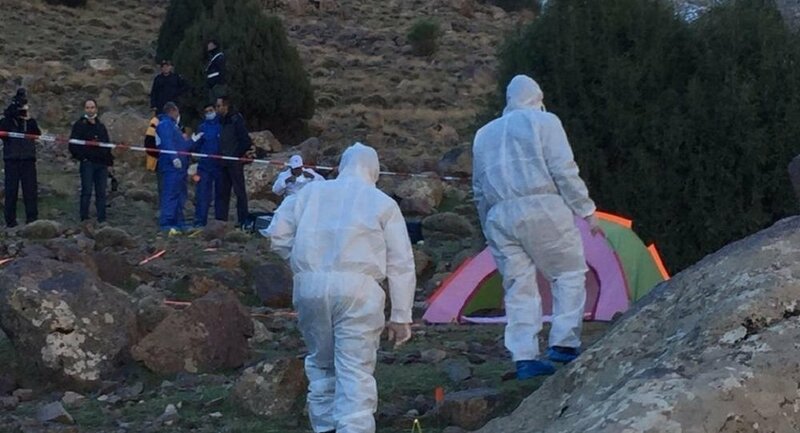 "The PET (intelligence service) confirms that a video circulating on the internet shows the murder of one of the two women killed in Morocco”, they said in a statement on Thursday. 6. But here is a concerning development: A European official close to the investigation confirmed that the beheading video was sent by private messenger to friends of the killed Danish woman by unknown senders who appeared to have Moroccan profiles. Police is investigating.